Scrap Aluminium - Capral Aluminium. Capral Aluminium has significantly increased profitability by loading and exporting their scrap aluminium directly with their A-Ward horizontal container loader. Capral Aluminium challenged A-Ward to supply a container loading solution to enable Capral to switch from selling scrap aluminium domestically to exporting it in 40ft containers. 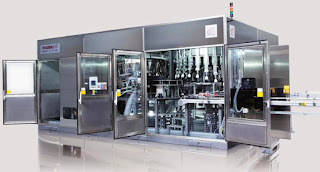 Capral is Australia’s largest extruder and distributor of aluminium products. 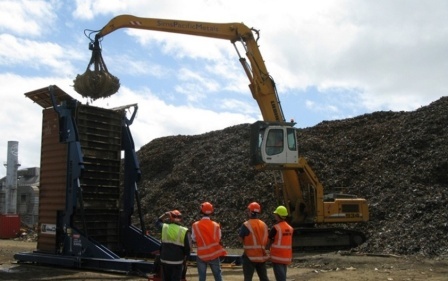 Prior to contacting A-Ward, Capral had been selling their aluminium scrap to local scrap recycling companies, therefore not maximizing revenue that can be achieved by exporting directly. 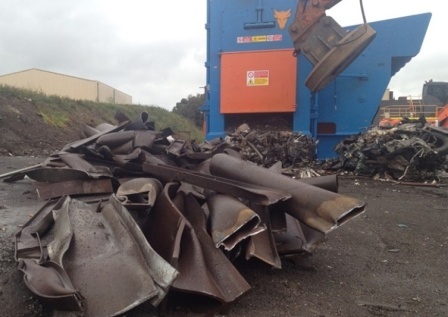 Capral required a container loading solution that would enable pre-loading of the scrap aluminium using their existing forklift with bin rotator and existing storage bins. 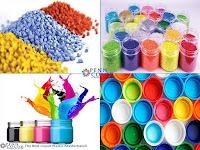 It was also a requirement there would be absolutely no container damage during the loading process. 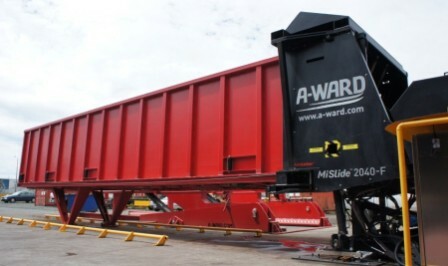 A-Ward supplied a customized MiSlide 2040-F horizontal container loader to Capral. 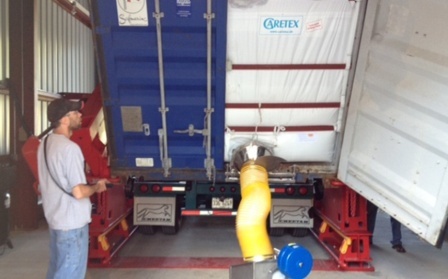 This MiSlide was upgraded to have an extra-large loading chamber so that Capral could maximize container load weights of their relatively low density scrap aluminium. Standard state-of-the art features such as the AutoLocker and remote-controlled trailer alignment system ensure that Capral’s operators are kept a safe distance away therefore minimizing safety risk. The digital scale system ensures that maximum weight loading can be achieved every time. Capral has significantly increased profitability by loading and exporting their aluminium scrap directly. Capral is able to transfer up to 25 tons of pre-loaded aluminium scrap into 40ft containers in less than 5 minutes, eliminating truck waiting costs, whilst maximizing container capacity utilization to achieve maximum weight. 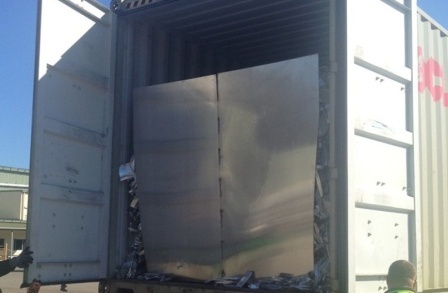 The aluminium ‘stopper’ plate, developed between A-Ward and Capral, transfers with the material into every shipping container to minimize spillage. Another major benefit to Capral is that the existing forklift with bin rotator can handle the entire loading process, eliminating the need for additional machinery or labor.